BLANK & JONES. Mark Reeder – Reordered. Reordered. That’s the name of one of 2009’s most interesting and unique records. On the face of it, it may seem like just another collaboration album. A bunch of songs remixed to squeeze every last drop of sale’s potential out of something which has been on the market for months. But that’s not the case here. It’s not a covers album, it’s not a remix album. So what is it? Well, we’ll come to that in a moment. First, consider the calibre of the artists involved with this record. No, not the guest vocalists – although the presence of The Cure’s Robert Smith, New Order’s Bernard Sumner and Anne Clark to name but a handful should already excite enough interest – the people behind the album. Blank & Jones – and Mark Reeder. 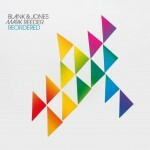 Blank & Jones has been a well-known blip on the German electronic music radar for more than a decade now. The Cologne-based artists are made up of Piet Blank and Jaspa Jones – both DJs and musicians – with, in the studio, the production plus of Andy Kaufhold, who have a healthy swag of eight LPs and more than 25 singles under their belts since they rode into the national consciousness on the wave of trance back in 1995.